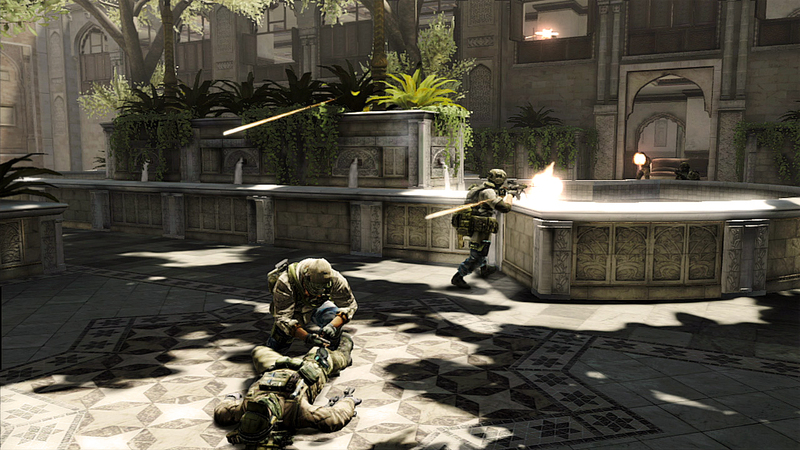 The Ghost Recon team is launching a Khyber Strike in what may or may not be Afghanistan. Get ready for a heavily-armed vacation to one of the less-pleasant parts of the world in Khyber Strike, the upcoming third DLC release for Tom Clancy's Ghost Recon: Future Soldier. The DLC pack will include three new multiplayer maps, a new multiplayer game mode, a new Guerrilla mode map, new Achievements and a +10 level cap increase. 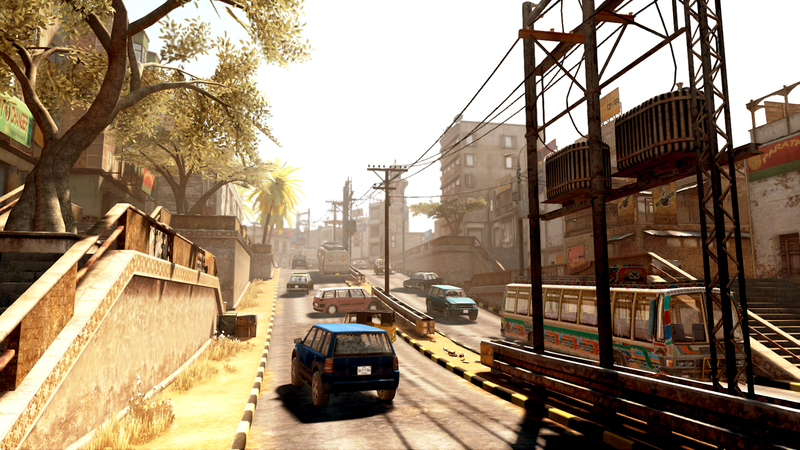 The first multiplayer map, "Switchback," drops players into the "close-quarters deathtrap" of the city's ancient, claustrophobic alleys and buildings, while "Palace" is a straight-up fight over the ruins of a once-glorious museum. 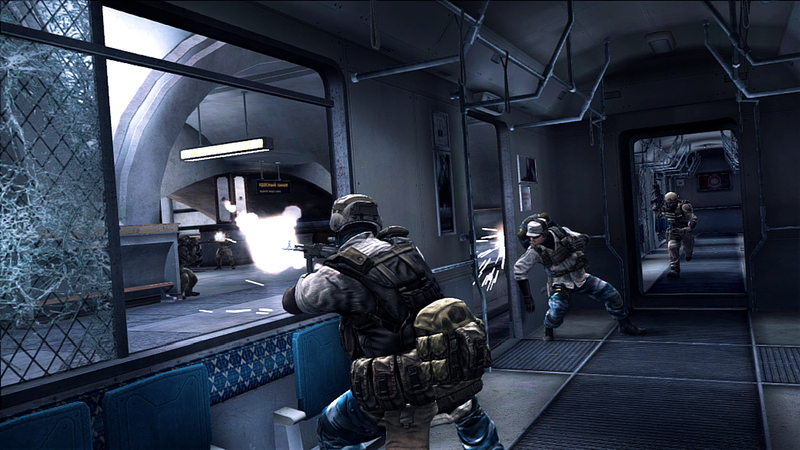 "Transit," the third and final map, takes place in a Moscow Metro station, where the up-close combat is made even more intense by the trains that continue to operate even as the battle rages. The new "Takeover" game mode is similar to Team Deathmatch but with some elements of Attack and Defend thrown into the mix, and the Guerrilla mode gets a boost with the addition of the new "Village" map. I don't know much about the Ghost Recon franchise but it seems a bit odd to me that the only location given a name in the Khyber Strike DLC pack is Moscow. I am of course working on the assumption that Khyber Strike is named after the Khyber Pass that links Afghanistan and Pakistan and not the Underdark of Eberron, and maybe that's off-base, but if Ubisoft is going to set a DLC pack in a real-life war zone, why beat around the bush about it? Anyway, Tom Clancy's Ghost Recon: Future Soldier: Khyber Strike will cost 800 Microsoft points on Xbox Live or $9.99 on the PlayStation Network, and launches on October 9. The PC version will be released at "a later date."